1. Once again, Hitchcock opens with a crowd scene. In this case, there doesn't appear to be anything ominous afoot. The only thing that puts us on edge is the opening sequence of Donat purchasing a ticket and entering the theater with all the shots being down. Beyond that, the smile on Donat's face and his willingness to have fun asking a meaningless question, breaks that initial tension. Even "Pleasure Garden" had a more threatening opening with the pickpocket. 2. I would disagree that Donat is intentionally portrayed as an innocent because Hitchcock goes to such lengths to track him mysteriously into the music hall, then casts him a room of children, bawdy women, and old working stiffs with a cruder taste in humor. Donat seems to not fit into the crowd, standing above them almost humoring them in a condescending way. That certainly sets up an imbalance. 3. Phillips' point #3 describes the use of seemingly normal locations (i.e. music hall) & #4 amplifies that it is also not a place you would associate with evil. Yet, we do sense evil lurking because of Donat's entrance. Reflect on the role of yet another public space opening a Hitchcock film--this time a music hall--the prominence of a performer (Mr. Memory), and the reactions of the audience in the film to Mr. Memory's act. How does these on-screen elements play into the Hitchcock touch as described by Gene Phillips? We see off-color humor, suspicion, and a closeup on specific characters that help the viewer get to know the characters better. 1. The opening scene of the 39 steps is similar to the opening of his previous movies in that he sets an mysterious tone in a rather common place i.e a dance hall, ski competition and in this instance a music hall. 2. I think that Robert Donat's character Hannity comes cross as much more ambiguous than the previous lead character in his fims. This will become something of a staple character choice in the films he will make with Cary Grant and other well known actors of the time. 3. I think the setting of the music hall is used to lull the viewer into a sense of complacency. The atmosphere is so congenial and warm that noone would suspect that something bad was about to take place. The bit of mystery at the beginning of the film fits in with how Hitchcock starts other films such as The Lodger. Other opening scenes such as The Man Who Knew Too Much, reveal the characters right away. It's hard to tell how innocent the character is in this opening scene. He certainly has a confident air about him and doesn't join in with the crowd in mocking Mr. Memory. Here, Hitchcock is opening with a non-threatening location where people are enjoying themselves. This seems to be a common theme. This film gives me the same thrill I get from watching Strangers on A Train, or North By Northwest. The pacing never lets up and everything seems to lock together in a satisfying way, and drive forward to a conclusion. Other Hitchcock films seem excruciatingly slow in pace, though you see the genius touches along the way. The opening here is similar to other openings that we have seen in that it starts with a bang. The flashing letters “MUSIC HALL” seem to announce to the viewer, sit up, pay attention, something disturbing and important is about to happen. The cant of the shot suggests we are entering another work of anxious unease, where the normal will slide off the screen and the unexpected is at every turn. I agree with Rothman that this character is more innocent. Robert Donat is such an engaging actor in his expressions and open looks. So much of what he achieves is in his eyes (Think Anthony Perkins in Psycho), and those side long glances we get after he has an interaction, and turns away, so that only the audience gets his full feelings about what is happening. I disagree with Rothman’s idea that this character is an evolution of the lodger, “the break with the lodger.” In that film Hitch’s intention is different, Igor Novello, I think, was really supposed to be the monster people take him for, and only ends up as the good guy, because he was a matinee idol. So The Lodger character is a prototype for Shadow of a Doubt, while The 39 Steps is a prototype for the character in North by Northwest. The Music Hall setting reminds me of Cary Grant at the auction, where he starts calling out ridiculous bids, ending up sabotaging the norms of polite society in a hilarious way. Here the crowd is heckling Mr. Memory in similar fashion, but it sets up a tension between the threatening ridicule of the mob, and the creepy apparently supernatural recall of the little man, that holds some fear over the audience and can quickly lead to panic, as in The Birds. Hannay is the touchstone center of this scene, quietly persisting with his serious, factual, mundane question about the distance between Winnipeg and Toronto. After all is said and done, how would Mr. Memory know such a random and trivial fact? 1.) 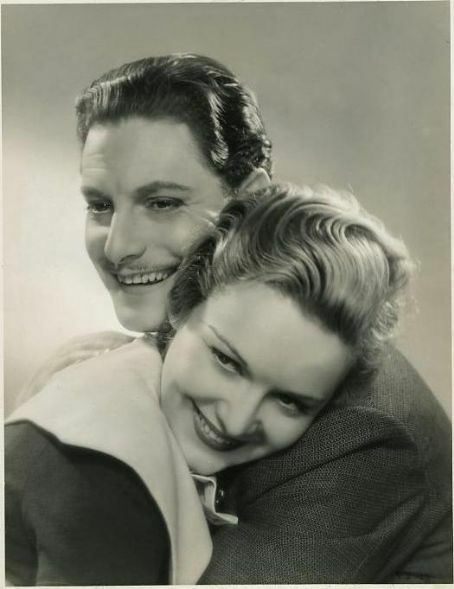 I believe that Robert Donat was the ultimate prototype for the "Wrong Man" which would later be an inspiration for another wrong man played by Cary Grant in North by Northwest. Not only that, we are introduced to the main hero much later. 2.) I agree with Rothman that the hero is an innocent person who gets accused of a crime he didn't do. As I said, he was just a man who ultimately got caught in the web of espionage without knowing the consequences or which will follow him. 3.) As mentioned in lectures, most of the espionage adventures takes place with lots of people. Let's say that nefarious events occurs when multitudes of people are gathering at a same place (i.e. Opera houses, Movie theaters, Auction houses etc). Here, the scene takes place in a music hall with the performance of Mr. Memory, who claims to have ultimate memory . 1. Opening in a crowded public place where everyone is enjoying themselves. It's so much fun how can something bad happen here? 2. Agree that Hannay is introduced to us as laid back likeable guy in a jovial setting. As we learn more about him we accept how he gets in desperate situation by his own helpfulness, curiosity and spirit of adventure. 3. We're introduced to Mr. Memory, the playfulness of the audience and just a fun scene not knowing how important this place and the performer will play later on. Also we first hear the refrains of a tune that introduces Mr. Memory which becomes a recurring musical footnote throughout the film. A mysterious figure entering a crowded, public place jogs our memory (pun intended). We see some exhibits of dark humor being showcased with some tongue-in-cheek jests and the appearance of unusual or strange characters. A deviation from the typical patterns we see could be the first lines our protagonist utters. As we look back, do any other first lines signify important messages or meanings such as these? While it is possible that our main character may be innocent, the first twenty-two seconds we see of him do not show his face at all. With this, as we all know, comes a mystique surrounding our protagonist, an uncertainty that has the capability of leading and wandering to many things. All that we see in this short scene reflect points made on the Hitchcock touch, notably the ordinary people and setting, the hero's plight, and the unleashing of valuable information prematurely.